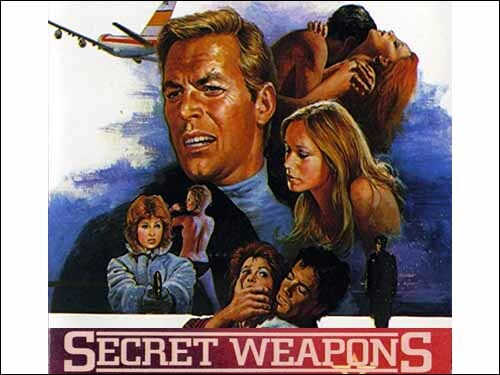 I like the other title better (Secrets of the Red Bedroom), but I suppose Secret Weapons is the catchier title. It is quite the mystery as to why Geena Davis would agree to do a role like this. After her success with Tootsie and Buffalo Bill, this part is such a throw away supporting role. In addition she is such a staunch feminist. She has a foundation to bring more attention to the role of women in the media. But then again the role was over 30 years ago. This was an NBC film and she had deal with the network for a series. So you connect the dots. Anyways in this movie Geena Davis plays a poor Russian, who is recruited by the KGB to be a Spy Seductress. Her job is to seduce high-level Government men who are married. In effect getting them in a compromising position. All so they can be blackmailed, and pumped for information. So the Soviet government could use against the Americans.